Department of Art | Green Fling a success at the Art Alley and Gaines Street! 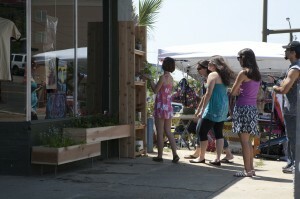 Home » Green Fling a success at the Art Alley and Gaines Street! Green Fling a success at the Art Alley and Gaines Street! On Saturday April 16th the 2011 Alley Sprouts and Urbanscape students successfully held their first Green Fling: An Alley Sprouts Art Crawl. 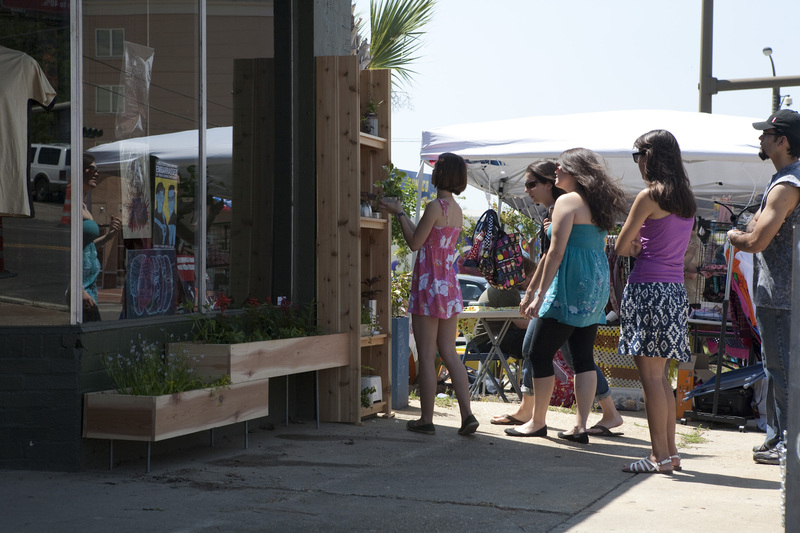 The Tallahassee community was invited out to visit local businesses such as Olde Fields Clothing, Voodoo Dog, and Avant Garbe to enjoy deals and discounts and to view the art and ‘green friendly’ sculptures the Alley Sprouts placed in front the businesses for the event. Free plants were offered during the event if you visited each of the participating businesses. It was a wonderful day of promoting green initiatives, the arts, and our local businesses. Thank you to everyone who came out!